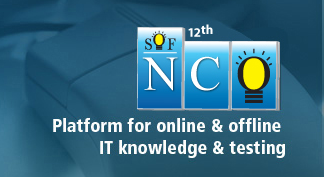 National Cyber Olympiad 2012 is conducted by Science Olympiad Foundation (SOF) – http://www.sofworld.org/ for students studying in Class 2 and above. Meghna wrote NCO 2012 in September and came 3rd at school level, 99th in the state and 173th position internationally. She is now preparing for National Science Olympiad (NSO 2012) to be held in her school on Nov 29th, 2012.